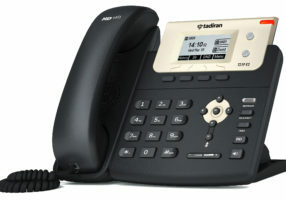 Tadiran’s new T21P E2 takes entry-level IP phones to a level never achieved before. Making full-use of high-quality materials, plus an extra-large 132×64-pixel graphical LCD with backlight, it offers a smoother user experience, much more visual information at a glance, plus HD Voice characteristics. Dual 10/100 Mbps network ports with integrated PoE are ideal for extended network use. 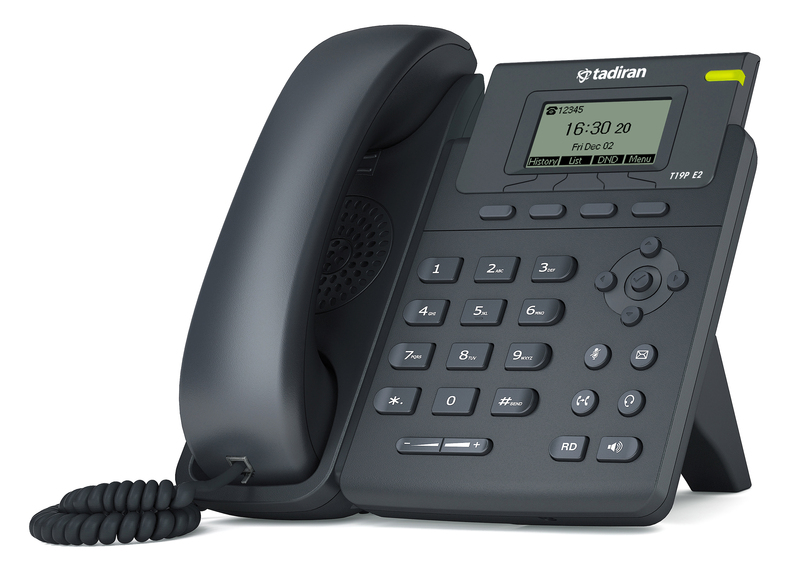 The T21P E2 supports two VoIP account, simple, flexible and secure installation options, plus support for IPv6, Open VPN and a redundancy server. It also operates with SRTP/ HTTPS/ TLS, 802.1x.As a very cost-effective and powerful IP solution, the T21P E2 maximizing productivity in both small and large office environments. 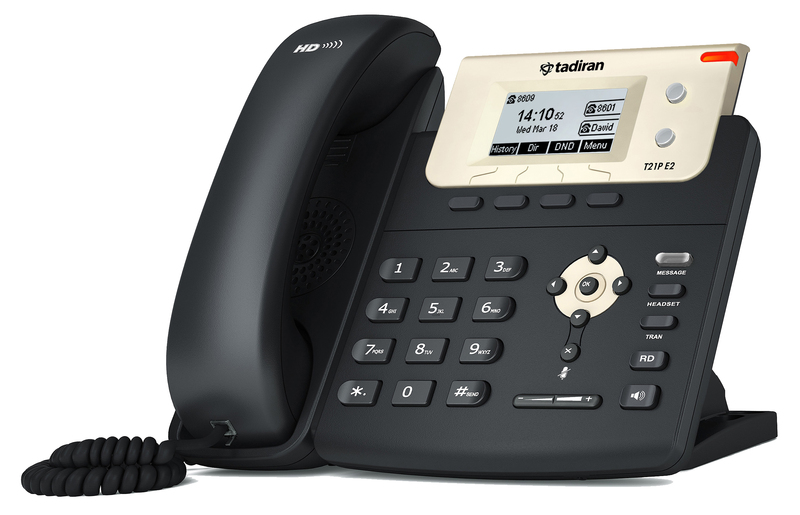 The T19P-E2 is one of Tadiran’s latest answers for the entry-level IP phone that offers features and performance normally associated with much more advanced phones. The quite intentional choice of high-quality materials, combined with a generously large 132 x 64-pixel graphical LCD that gives a clear 5-line display, guarantees both a smoother user experience and easy access to much more visual information at a glance. Dual 10/100 Mbps network ports with integrated PoE are ideal for extended network use. The SIP-T19P-E2 supports a single VoIP account, simple, flexible and secure installation options,plus IPv6 and SRTP/ HTTPS/ TLS, VLAN and QoS. 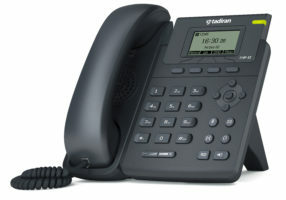 It includes headset use, is wall-mountable and has been designed very specifically for better business.